Melissa Strydom is a partner in our Johannesburg office Corporate Department and a member of the Public Law and Regulatory Practice. She specialises in Environmental, Energy and Natural Resources law but also practices in varying areas of Public law and regulatory matters, including health and safety, petroleum products, broad-based black economic empowerment, public procurement and product liability aspects. She often advises on the relevant regulatory frameworks including licensing and other requirements, particularly within a transactional context. She has a particular interest in disputes in these areas and is often involved in High Court proceedings. She is currently pursuing her PhD at Wits in the area of criminal enforcement of environmental law in South Africa. Melissa has worked on more than 20 renewable energy projects, as part of the Department of Energy’s procurement process for renewable energy by independent power producers, many of which successfully reached financial close and are currently in operation. Melissa has an LLB from the University of Johannesburg, an LLM and Certificates in Mining, Prospecting and Advanced Company Law from the University of the Witwatersrand. Undertaking environmental, health and safety legal assessments and / or due diligences focused on legislative compliance for different operations including various mining, industrial, renewable energy and other operations. Advising lenders, investors and developers on environmental law aspects in several solar photovoltaic, onshore wind, CSP, small hydro, landfill gas and other renewable energy projects. Advising in compliance and enforcement proceedings, in environmental and health and safety law, including incident investigations and inquiries and responding to compliance notices. Assisting with successfully defending criminal proceedings against chemicals companies brought in terms of environmental legislation. Advising mining, industrial and commercial clients on Environmental Impact Assessment requirements and authorisations; water-; waste-; and atmospheric emission licensing. Advising on the contractual implications of rehabilitation obligations for mines or related to contaminated areas. Assisting with successful High Court actions in a number of public procurement disputes involving urgent interdicts and review applications. Assisting with a successful reinstatement and challenge in respect of a Traditional Leadership dispute. 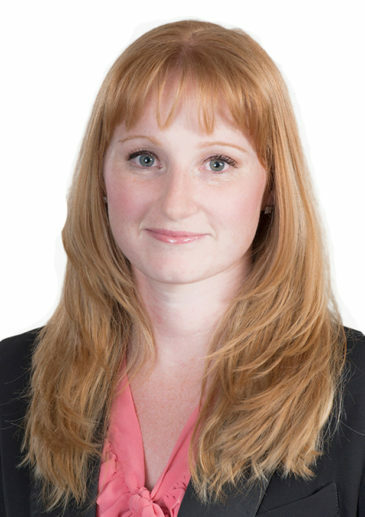 Chambers and Partners, 2018 recognised Melissa as an ‘Associate to watch’ for Environment. Melissa has been recognised by Chambers and Partners 2017 as an “associate to watch” for Environment. Environmental authorizations required for mining?